The ever versatile gingham. This small, lavender and white micro-gingham check creates the ideal classic shirt that's a great fit for any occasion. Finished with a Mid-Spread collar. 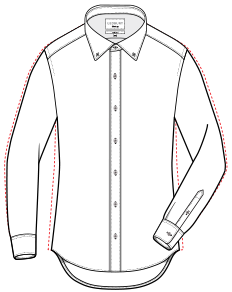 Tailored fit features a darted back.